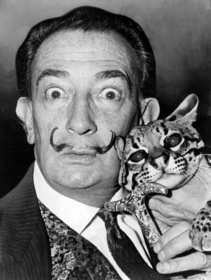 The year 2004 has celebrated the 100 years of Salvador Dali y Domenech birth date. 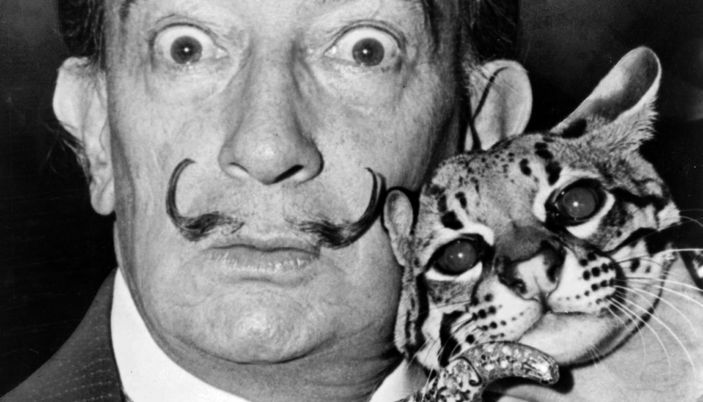 Born in Figueres on May 11, 1904, Salvador Dali became one of the greatest geniuses of the surrealism and one of the most important artists of the 20th century. Its biography and its work extends on the major part of the century and suppose an attractive trip through the ideas, the culture and the art of the Western world. A great exposition is the center of the activities which has taken place during the Dali year. It is entitled "Dali. Mass culture" and presents more than 300 works (oil-base paints, drawings, films and objects various). This exposition pretended to show the precursory and innovative role of Dali in his relationships to the media and his great interventions in the popular culture like cinema, fashion, publicity and photography. The exposition was held in Caixaforum in Barcelona between January and May 2004 then in the Museum Reina Sofia in Madrid. Other expositions were also held in the Museums Dali in Cadaqués, Púbol and Figueres, which form the "Triangle Dalinien". These expositions explored the various aspects of the creative and biographical relation of the artist with his geographical, historical and social environment, which had a permanent influence on all his work.